A project of Rice University's Kinder Institute for Urban Research exploring the ways Houstonians define — and change — the places they call "home." For more information on the Kinder Institute’s research on affordable housing, visit HoustonHousingResearch.com. Seated behind the front desk in the management office at Brickhaven Apartments, Ludy Urvina is quick to smile — at the mailman, at coworkers and at her tenants. It’s a habit that’s come in handy since the property she works at as community manager off Fondren Road partnered with several refugee resettlement agencies in Houston to offer apartments to newly arrived families at a slight discount. The apartment complex is bustling with activity, even midday. Bikes hang on the railings outside the second-story apartments. A woman spreads her laundry out on the small balcony outside her home. And families come and go. Out of some 780 units, she said, roughly 200 are occupied by families who came to this country as refugees from Iraq, Myanmar and beyond. Through refugee resettlement agencies, they have access to caseworkers and translators. But there are times when Urvina — who has designated herself as the point person for all the refugee families in this sprawling complex of two-story brick apartment buildings — must field questions, often despite a language barrier, using an improvised sign language. Sometimes she and residents even draw pictures to communicate. The program has been a boon for the complex, which struggled with low occupancy rates when Urvina arrived in 2013. And it’s been a positive partnership for the agencies, which often have to find a way to stretch limited federal funding and rental assistance to help clients find a place to live. As Houston declares its status as a “Welcoming City” despite a wave of anti-immigrant policies coming down from the Trump administration, Urvina and people like her — property managers and landlords — are often the ones actually welcoming refugees to the city, along with caseworkers, helping them figure out the basics of American life from understanding bus routes to establishing Internet access. “It’s brought a lot of stability to our community,” said Urvina. Built in the 1970s, Brickhaven is like many of the large apartment complexes on the southwest side of Houston that went up in a hurry, hoping to lure young professionals in boom times and earning the Gulfton area the nickname “Swingersville.” But with the oil bust of the 1980s came decline, and over time, many of the properties aged into lower-rated buildings by the Harris County Property Appraisal District. They have become a destination for Houston’s large immigrant community, including its refugee population, largely due to their affordability. The apartment complexes are large, spanning several blocks at a time along busy roads, often featuring multiple pools. The retail in the area includes thrift stores and check cashing places but also Honduran, Afghan and Salvadoran restaurants. 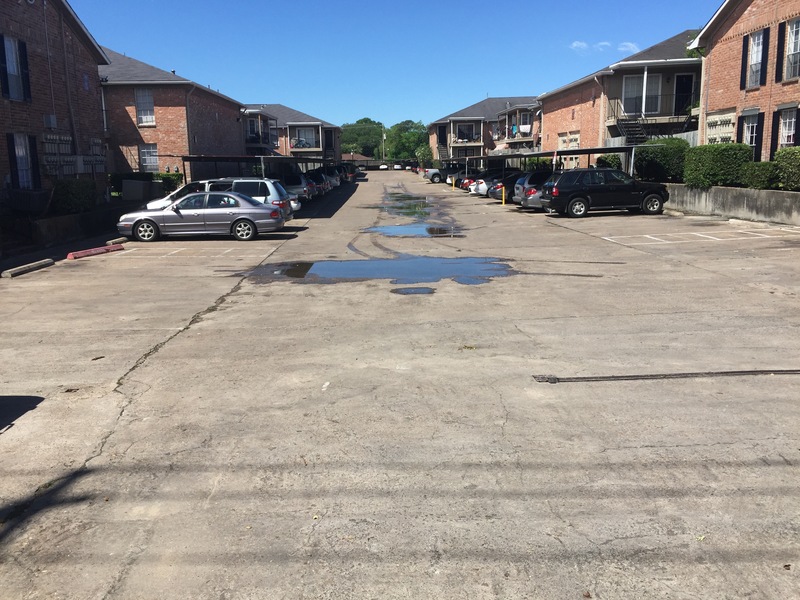 As luxury apartment towers sprout up around downtown Houston and rents rise across the region, these aging apartment complexes still offer refuge to families forced to start over here. In 2016, Houston resettled more than 2,300 refugees from two dozen different countries. Texas resettled the most refugees of any state in 2016, and Houston got the largest percentage of those, taking in nearly one in four of all the refugees in the state that year. In recent years, the city has been recognized as the top resettlement city in the country, though Houston has been a destination for decades, including for refugees from Vietnam in the 1970s. The resettlement agencies greet refugees at the airport, find and stock apartments, help them find employment and provide access to services like English language classes and case management to help them meet their basic needs and become self sufficient. For the first few months, refugees receive funds to cover rent while they work to become stable. Ramesh Athiyodi has been working with refugees for eight years as a property supervisor at different properties on the Southwest side that each struggled to lease units — until he helped get them in shape and partner with resettlement agencies. One of his properties had an occupancy rate of just 60 percent, until he fixed up the united, hired security guards and reached out to Interfaith Ministries, one of five designated resettlement agencies in Houston. After that, it was full within a matter of months. Athiyodi, who goes by Rick, said he personally takes care of the refugees at Westward Square Apartments on Gulfton Street, helping them figure out how to work the air conditioning and and bathroom if they need it. Like Brickhaven, the apartment provides space for free English language classes on site. And he added gazebos, “where they can hang out and build their own community,” he says. Even though he was unsure how the relationship might work at first, Athiyodi said it’s been overwhelmingly positive. The recent executive order that sought to temporarily halt entry of refugees before a judge blocked it saddens Athiyodi. Indeed, in part because of the emphasis the federal Office of Refugee Resettlement puts on employment and self-sufficiency, refugees tended to have higher levels of employment than the U.S.-born population, according to a 2015 report from the Migration Policy Institute. Article continues below chart. And Houston’s refugee community has a particularly high employment rate — 96 percent — according to a 2008 analysis conducted for the Office of Refugee Resettlement. Though refugees here have historically been buoyed by a strong economy, compared to other states, they have fewer public assistance resources available from the state. And while they can often find fast employment, refugees in Houston reported lower monthly incomes and smaller gains in income over time, suggesting they may be taking lower paying jobs without much opportunity for improvement. 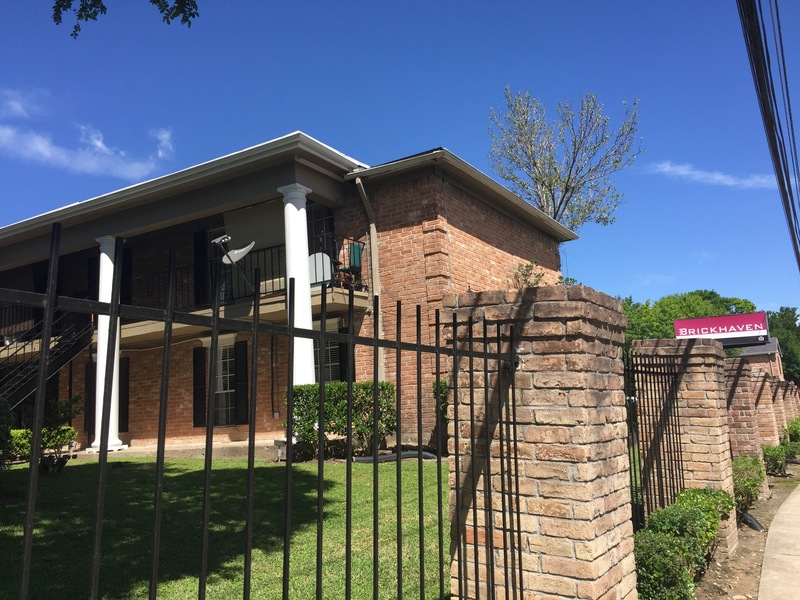 Even with access to relatively affordable housing, challenges remain for much of Houston’s refugee community. Partly because refugees automatically qualify for many of the social services that other immigrants do not, the children of refugees are often more likely to be insured and tend to fare better generally than the children of other immigrants, according to a 2016 study from the Migration Policy Institute. But in Texas, where there are “relatively low benefit levels for programs like [Temporary Assistance for Needy Families] and relatively weak health care and social-service safety nets,” the children face greater risks. 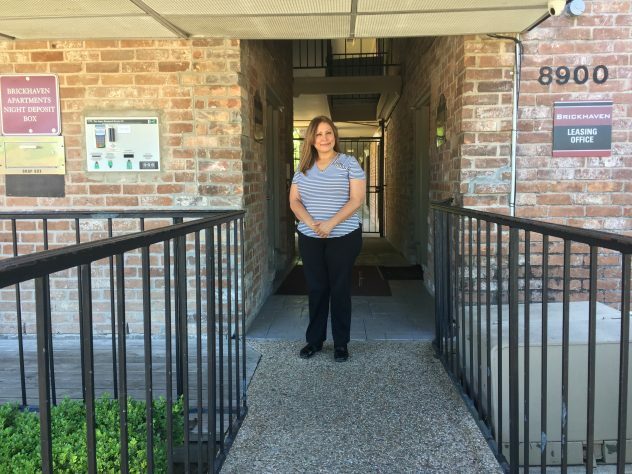 “Houston is a welcoming city,” said Ludy Urvina, community manager at Brickhaven Apartments, which has become home to over 200 refugee families. Photos by Leah Binkovitz. Learning English is also a struggle for many refugees, Capps said, especially if they don’t acquire quickly on the job. Other challenges like the cost of childcare, transportation and limited upward mobility are common concerns. And for refugees that come with professional experience and degrees that might not automatically transfer, the system tends to be more geared toward quick employment than helping them take the steps to gain new credentials. That’s where Samer Rassam finds himself now, working weekend shifts on an assembly line and contemplating what to do with a degree in communications engineering that doesn’t seem to be worth much here. 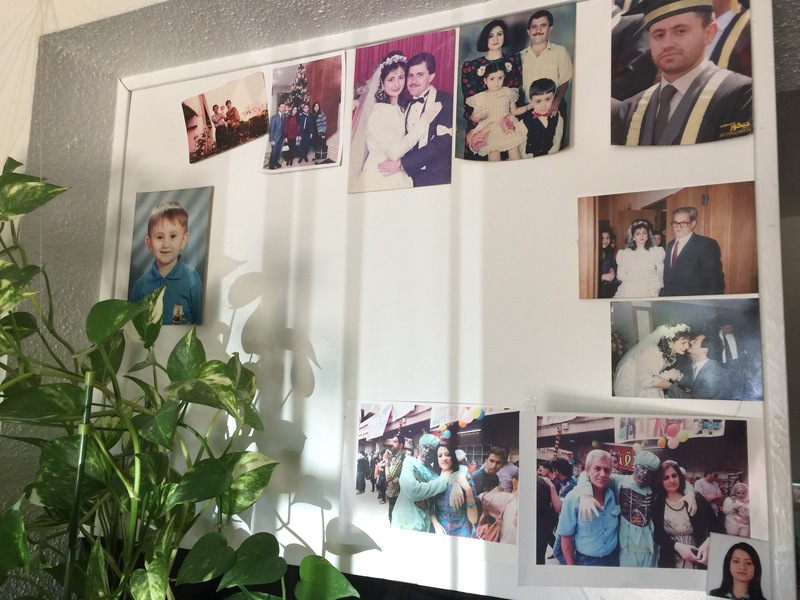 Shortly before before coming to the United States, Rassam was nearly thrown off his couch to the floor of his home in Baghdad when a car bomb went off down the street. For years, officials had repeated that Baghdad was safe. But the Islamic State, struggling to hold onto territory it had captured elsewhere, began increasing attacks there. “ISIS was all over the city,” said Rassam. By the time the time an attack hit his street, Rassam’s parents had already fled the country, coming to the United States as refugees. Unlike his younger siblings, Rassam, a university student about to graduate when his parents left, had to apply on his own after they settled in Houston in 2014. Roughly one year later, with one month before he was scheduled to leave behind his degree and his girlfriend and come to Houston, the explosion shook his home. That’s where his family hoped to end up. 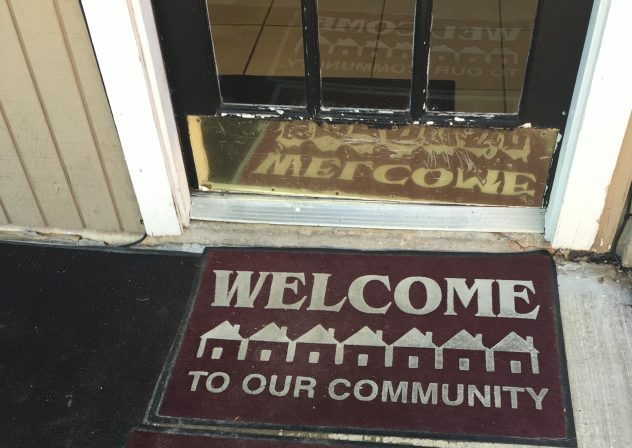 Instead, they found themselves in Houston, through the resettlement process that matches refugees with dedicated agencies that help them access services and navigate the first few months in their new homes, including providing rental assistance. One of the largest populations resettled in Houston in 2016 came from Iraq: 530 of them, according to data from the Worldwide Refugee Admissions Processing System. 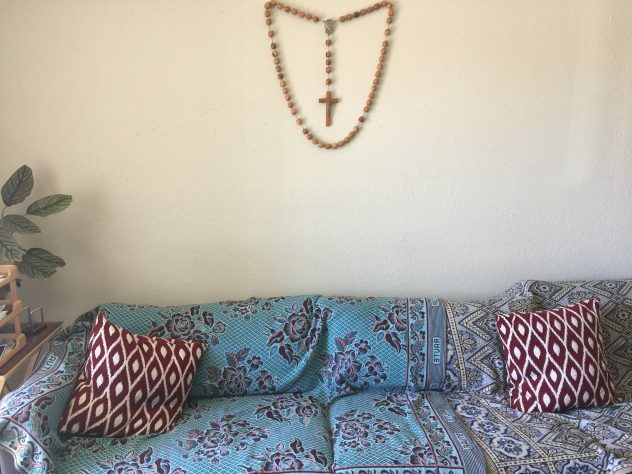 Photos of the Rassam family decorate the apartment. Rassam’s father, who once worked as an engineer doing business with American companies, found a job as a security guard downtown. His mother took a job at a Crowne Plaza hotel, but after a year and a half of lifting heavy mattresses, she hurt her neck and now barely leaves the house. With a hand clutched to the left side of her neck, she sits with her head at an angle and spends her days talking to her mother and sister in California in their second story apartment. The family shares a car, but she can’t drive anyway with her neck the way it is. A costly surgery is out of the question for now. Rassam, meanwhile, struggled to adjust initially. The first six months were the worst. Though they tried to stay together long distance, he broke up with his girlfriend. He’s unsure what he should do next, whether he should go back to school or not. “I miss my friends so much,” he said. Despite that, he said, “I love Texas; it’s really started to feel like home.” Except the heat. He also has a sister and a brother, a high school student at Sharpstown High School, who is one of the top in his class. Even though Houston’s refugee community represents a diverse population, there are often commonalities. For those coming with degrees and certificates, it can be a frustrating process to try to transfer that experience, which is why places like Miami offer career training and placements as well as recertification and re-credentialing services. That was Mohammad Saadat’s experience. He came to Houston in 2014 as a refugee from Afghanistan, where he worked as an engineer with the United States Agency for International Development. Since he’s been here, he’s found a couple temporary jobs, but working part-time as an Uber driver has been a steadier source of income. “I have seven or eight years experience designing. I studied for five years in university. Almost 13 years,” he said. “I lost all of them.” His wife has also faced professional setbacks, having been trained and certified as a midwife back home. It was a friend, also a refugee from Afghanistan, who told them about Brickhaven. Now, Saadat tells his former colleagues from Afghanistan who are currently going through the resettlement process about the apartment complex that he said is affordable – he pays $550 for rent — in a good area that is well-maintained. Saadat and his wife plan to return to school so they can both continue their careers here. But most of his focus now is on his young son, Mujtaba who he wants to be able to send to college one day. Saadat teaches his son about where he came from, he also wants to teach him to embrace his new home. “It’s an opportunity,” he said. Leah Binkovitz is Senior Editor with the Kinder Institute for Urban Research.